Early Style Bridge Lamp Arm, cast iron with satin black finish, "Angel" motif, tapped 1/4F X 1/8F. 11 3/4" long X 7 3/4" ht. 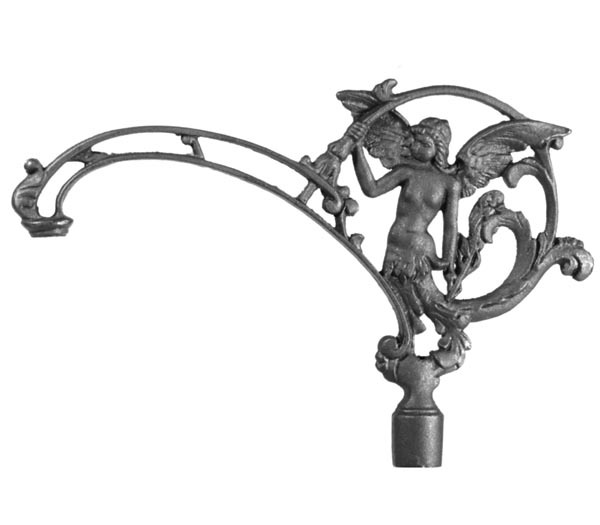 No reviews yet for the 11 3/4" "Angel" Cast Iron Bridge Lamp Arm.